Snowboming 2018 – Lineup announced and it’s HUGE. 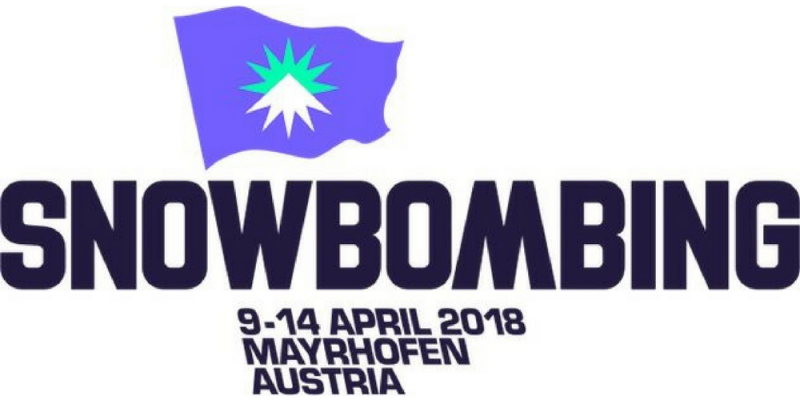 Snowbombing “The Greatest Show on Snow” is back so get those tickets and and make sure you book a week off now. From incredible concerts to Austria’s biggest fancy dress street party, to a 150 car 5 country 2 day convoy Snowbombing has it all going on, expect Eddie The Eagle, expect Mr Motivator, expect total mayhem. And that’s not forgetting some incredible ski-ing so if you are an expert or a total novice this is one of those events that memories are made off. The line-up is off the scale this year covering everything from Rock to House to D’n’B to Garage and includes Pendulum, Bicep, Eats Everything, Jackmaster, Richie Achmed and Denney among many others. Check the video and the full line up flyer below.